Lewis Hamilton recovered from his morning difficulties to take the top spot during the second Free Practice session ahead of the Australian Grand Prix. The Briton, who is favourite for the Championship, stopped after just four minutes in the morning session, with a problem that was later identified as a sensor failure. Despite the lost time, he threw in his challenge for pole position in the afternoon by grabbing the top time, 0.157 ahead of his team-mate, Nico Rosberg. Fernando Alonso, who was the quickest man in the opening session, was the next man down the order, taking third for Ferrari. While Alonso’s day was pretty straight forward, Kimi Raikkonen in the sister car suffered a gearbox issue in the pitlane. The Finn was lining up in the pitlane to do a practice start with Alonso waiting behind him, however, the ’07 Champion simply couldn’t engage first gear. Ferrari mechanics ran up to him and rolled him back to the garage and he was back out on track after a fifteen minute stint in the garage. He finished the session in seventh. Sebastian Vettel was fourth for Red Bull and seems to be in a much stronger position that they appeared to be in pre-season testing. Daniel Ricciardo, in the other RB10, was sixth at his home Grand Prix. “Friday was good – we got a lot of laps done,” Ricciardo said post-session. “The guys are happy. The performance doesn’t seem as slow as we thought”. Jenson Button was in between the Red Bull’s and finished in fifth, looking like McLaren could be running with a much improved car. Valtteri Bottas was eighth for Williams, who finished surprisingly low as their pre-season pace suggested that they would be right behind, if not ahead of, Mercedes. Indeed, Felipe Massa finished a low 12th, in contrast to the third and fourth that Bottas and Massa secured in the opening session respectively. Kevin Magnussen was ninth for McLaren and doing a good job with familiarising himself with the car, with Force India’s Nico Hulkenberg filling out the top ten. The German spun under braking with five minutes left on the clock and beached his VJM-07. At the same time, ironically, Romain Grosjean suffered some sort of brakes failure and spun into the gravel at turn six, and he too became beached in the gravel. He finished the day down in a miserable eighteenth. Jean-Eric Vergne was eleventh for Toro Rosso and had a straight-forward day, especially in comparison to his rookie team-mate who spent more time acting as a rolling roadblock and not checking his mirrors – at one point forcing Hamilton to stand on the brakes as the Russian weaved in front of him on an off-lap. The Russian, 19, is the youngest driver on the grid and also the first man to go straight from GP3 to Formula One. He ended the day in sixteenth. Sergio Perez was twelfth for Force India, followed by the Sauber duo of Adrian Sutil and Esteban Gutierrez who finished a tenth apart in fourteenth and fifteenth respectively. Jules Bianchi finished seventeenth for Marussia and got a solid day running under his belt. Like Bianchi, his team-mate Max Chilton set 29 laps. In stark contrast, Marussia’s rivals, Caterham, failed to run a single lap: Marcus Ericsson discovered a hydraulics issue on his installation lap while Kamui Kobayashi’s car had its engine removed following a fuel issue in Free Practice 1. This leaves Ericsson’s lap total from today at two laps, with no laps for Kobayashi. Pastor Maldonado was twenty-second, and last, as his technical issues from the morning session spilled over into the afternoon and left the Venezuelan watching his mechanics tinkering with his car. 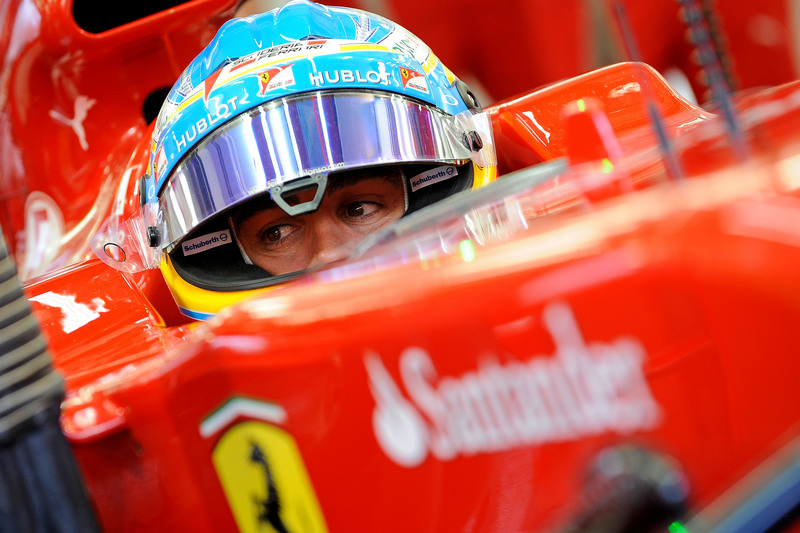 Ferrari’s Fernando Alonso got the ball rolling for Ferrari as he topped the timesheets in the opening practice session of 2014. The Spaniard set a fast lap relatively early on and kept his position on top of the table as the other drivers focused on getting some solid laps done. The main talking lies with Lewis Hamilton and Lotus, both of whom failed to do just that. Lewis Hamilton was the cause of the first yellow flag of the season, stopping his slightly smoking Mercedes just after the Turn 10 chicane after just four minutes. It was later found that an oil pressure sensor alarm turned the engine off as a precaution and Hamilton, the pre-season title favourite, failed to restart the engine. His one lap was enough to place him nineteenth of twenty-two after the hour and a half. Lotus’ problems came to light in the other end of the session; with ten minutes to go Pastor Maldonado was finally suited and booted and emerged on track. However, after passing turn 10 his cockpit started smoking and he lost power. Remarkably he made it back to the pitlane, including an off-road adventure between turns 13 and 14, and this ended Lotus’ FP1 running. Romain Grosjean was limited to the pitlane and didn’t even sit in the cockpit, as he sat at the back of the garage staring longingly at the screens. Due to Mercedes’ dominance in pre-season testing, it was surprising to see Ferrari take the top spot. Alonso’s 1.31.840 was about six-tenths clear of McLaren’s Jenson Button, who was also impressive to finish that high up. Williams strengthened their promising position when Valtteri Bottas took third ahead of Felipe Massa. It’s a promising sign for the team who will be aiming for a double podium this Sunday. Daniel Ricciardo was the first of the Red Bull’s to brace the track at his home Grand Prix and he ended the session a respectable fifth. His team-mate stayed put until much longer, due to the fact that Red Bull still had the car in pieces when the green light came on at the start of the session. Vettel’s running was enough to finish seventh and raise questions as to the real pace of the defending World Champion, whose pre-season test predicted a much lower placing in Australia. Nico Rosberg, whose pre-season track time spelled the opposite, was caught between the Red Bulls in sixth. His running was smooth and he completed 17 laps, ending the session eight-tenths behind Alonso. McLaren’s rookie Kevin Magnussen was impressive on his debut – merely half a second down on his far more experienced team-mate. He finished the session eighth, ahead of Ferrari’s Kimi Raikkonen and Toro Rosso’s Jean-Eric Vergne, the latter ending the session in the gravel after out-braking himself. The Force India duo of Nico Hulkenberg and Sergio Perez were eleventh and twelfth for the Silverstone based outfit who looked stronger during pre-season running. They’ll be happy, at least, that they had a faultless session and have both cars for FP2. Daniil Kvyat cut the grass at turn 1 during a particularly violent trip off-track when he carried too much speed into the first corner, mere seconds before his team-mate and Kimi Raikkonen followed him off. 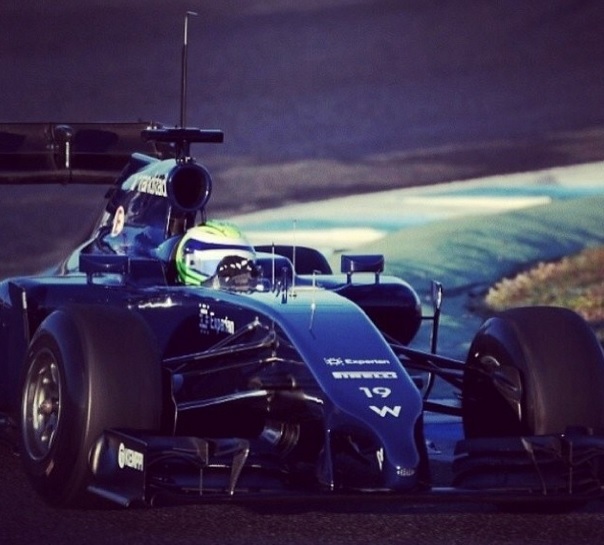 His first F1 practice session ended with him thirteenth, ahead of Sauber’s Esteban Gutierrez and Adrian Sutil. Jules Bianchi narrowly avoided a spin between turns 13 and 14 while team-mate Max Chilton clattered into a trolley in the Marussia garage when he botched his pit-entry. Luckily nobody was injured. Next door at Caterham, neither man had running as Marcus Ericsson suffered an electrical problem and a fuel issue was discovered on Kamui Kobayashi’s car. Lewis Hamilton finished pre-season testing by giving Mercedes their third day on top of the order. The Briton recovered from a slow start at the hands of a gearbox issue to take the fastest lap by six-tenths of a second. After his trouble yesterday where he failed to complete a single lap, Sebastian Vettel was the first man to grace the track this morning, and was also the first to cause a red flag – the first of eight throughout the day. The team blame a brakes failure for his spin into the gravel at turn 1 three hours into the morning. His car was collected by the recovery truck and shipped back to the Red Bull garage where it stayed in the garage until the afternoon session. He eventually got out on track but his tally of 77 laps could only get him up to ninth on the time sheets – and five seconds off Hamilton’s best lap. Hamilton’s day got off to a slow start as Mercedes nursed a gearbox issue which restrained them to the garage until twenty minutes before the lunch break. However his running didn’t last long as he had done a mere five laps before Romain Grosjean ground to a halt on the back straight and prompted the second red flag – and an early lunch. Hamilton was the first back on track and was keen to make up for his lost time, but Jenson Button threw a spanner in the works when his McLaren stopped at the same place as Grosjean after just eight minutes. This caused the third red flag. Fifteen minutes later and the green flag was shown, prompting a keen Hamilton and Kobayashi to take to the track immediately. Running continued for an hour before Grosjean’s E22 came to a smoky end on the side of the track. The recovery teams had plenty of practice and so the green flags were out pretty quickly. This time it was Bottas and Gutierrez to take to the track for Williams and Sauber respectively. Hamilton eventually re-emerged and jumped to second in the timesheet, behind Bottas, before a fourth red flag. This time it was Nico Hulkenberg’s Force India which had stopped on track at turn 3. The VJM-07 was shipped back to the garage and the track went green for ten minutes until Fernando Alonso’s Ferrari pulled over after the back straight. His car was cleared and returned to the track relatively quickly, but the Spaniard had only just grabbed second place when Bottas pulled over on the start/finish straight. Once his car was cleared, it was the turn of Esteban Gutierrez to cause a stoppage when his Sauber stopped out on track. His team explained that it was simply a fuel system test, meaning they basically ran out of fuel on purpose. Jean-Eric Vergne was one of the few men not to cause a stoppage today and his reward was fifth overall for Toro Rosso. Chilton’s Marussia also had a good day’s running with 61 laps under his belt. After Marussia missed the first test and had limited track time during the second test, three consecutive days of running will be more than welcome. It still seems to be an uphill battle for the Renault teams, however, with three of the four Renault-powered teams (Lotus, Red Bull and Caterham) occupying the bottom spaces. 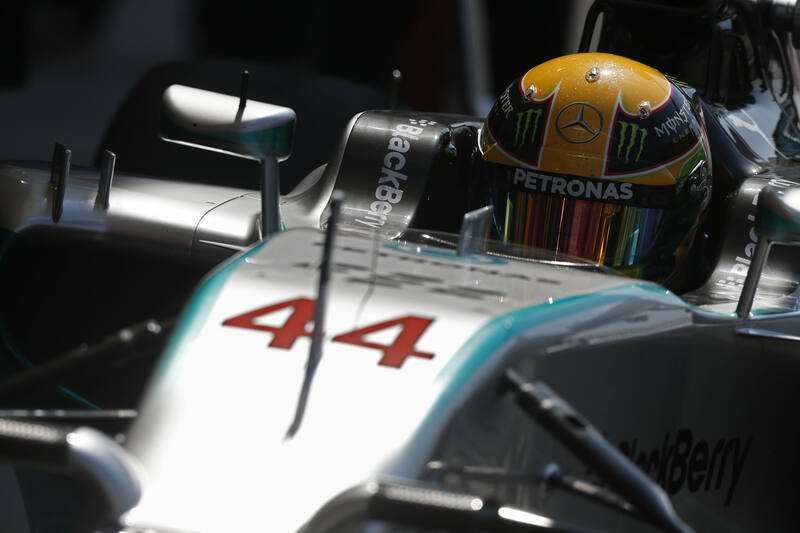 With twelve days of testing completed, it is very much advantage Mercedes. Any last-minute work will have to be done before the Australian Grand Prix, which kicks off with Free Practice 1 in twelve days. 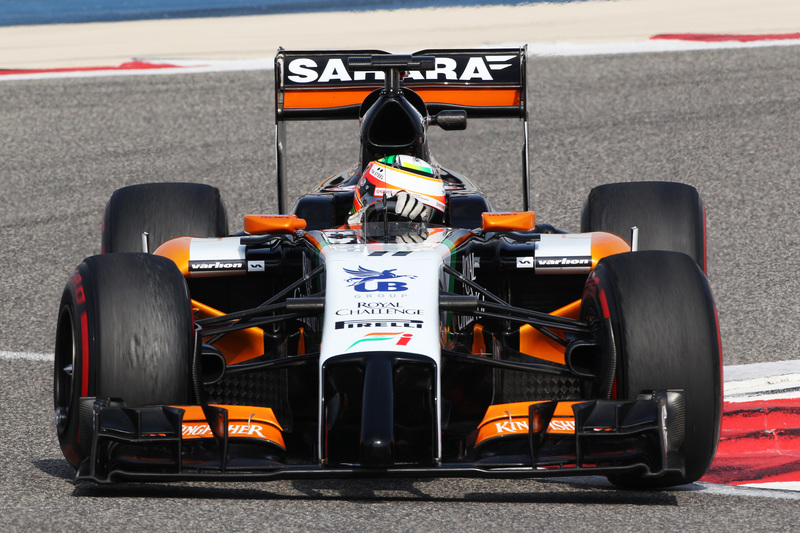 Sergio Perez stayed on top for Force India as pre-season testing continued at the Bahrain International Circuit. After topping the first day of the third test by a big margin, Perez marginally beat Ferrari’s Fernando Alonso to the top spot on the time sheets. Perez’s 108 laps in the VJM-07 was the second most of any driver while Alonso clocked up an impressive 122 laps of the Sakhir circuit. However the talking point lay with those in third place overall; Daniel Ricciardo and his Red Bull who managed a solid 66 laps given the problems they had faced thus far. His run was completely smooth and the team say they were also able to use the laps to clock up some pit stop practices and aerodynamic evaluations. Felipe Massa clocked up 103 laps on his way to fourth overall for Williams. The Brazilian’s run was flawless as he too practiced race simulations and pit stops. In fifth was Jenson Button whose day got off to a slow start when his MP4-29 ground to a halt on his twentieth lap. The team retired the car to repair it and it wasn’t until the last hour that Button re-emerged. His former team-mate, Lewis Hamilton, also ran into difficulties when a gearbox issue forced the team to call it a day after 89 laps. Marussia had an extremely important day on track yesterday when they completed 75 laps. Having missed the first pre-season test, the team were blighted with issues during the second test which severely hampered their track time. Bianchi managed to clock up an un-interrupted 75 laps today; an extremely positive omen for the outfit. Pastor Maldonado’s Lotus had a fiery end to his day and Lotus being Lotus took it in their stride and tweeted, “Sufficient char-grilling to render us out for the rest of today”, and this gave them a grand total of 31 laps. Marcus Ericsson also had a smokey exit to his day when the Caterham slowed out of turn four. His 55 laps until that point had given the team some information and this will be some consolation for the team. Image courtesy Sahara Force India Formula One Team. Force India returnee Nico Hulkenberg led the way as the second of three pre-season tests got underway today at the Bahrain International Circuit. The first day of testing got off to a slow start due to a shortage of marshals which delayed the start time. The shortened day eventually got underway but not for long as Fernando Alonso’s Ferrari ejected a cloud of smoke and prompted a red flag. Nonetheless the Spaniard’s car returned to the paddock under its own steam and was soon back on track as the green flag flew again. Ferrari weren’t the only team prompting a red flag with Toro Rosso suffering an oil leak in the morning. The car, piloted by the team’s rookie Daniil Kvyat, was stitched up and sent back out on track before breaking down in the afternoon and causing another stoppage. Red Bull’s woes continued when Sebastian Vettel ground to a halt in the latter part of the day as his RB10 was smoking. Vettel took matters into his own hands, grabbing a fire extinguisher and spraying the rear of the car before beginning his trek back to the drawing board. His countryman, Nico Hulkenberg, was on the other end of the spectrum however, with the smoothest running of any team today – no spins, no failures, no spontaneous combustions. His 78 lap run was as smooth as a fresh Pirelli and his fastest time of 1.36.880 put him firmly 0.999s clear of Alonso who completed 74 laps en route to second in the timesheets. Williams, who set the benchmark in the opening test, were robbed of their smooth sailing when a fuel system problem restricted Felipe Massa’s track time to a mere five laps. He finished the day tenth overall with no lap time recorded. Another man who failed to set a lap time was Jules Bianchi in the Marussia who set three installation laps (exiting the pits, circling the circuit and re-entering the pits before crossing the start/finish straight) amid an IT configuration issue. Marussia’s rivals Caterham had a much more productive day with their Dutch driver Robin Frijns completing 68 laps of the Bahraini circuit and setting a lap time almost five seconds shy of Hulkenberg’s table-topping lap. Adrian Sutil spun his Sauber en route to sixth overall; the German’s tally of 82 laps being the highest lap count of all drivers today – one lap more than Danish rookie Kevin Magussen set for McLaren which left him fourth at the end of day one. Hamilton, who drove for McLaren between 2007 and 2012, was third after clocking up 74 laps. His time was marginally slower than that of Fernando Alonso. Felipe Massa was the fastest man in the fourth and final day of pre-season testing at the Circuito de Jerez. The Williams driver set a fastest lap time of 1.28.229 on the rain affected circuit, clocking up 86 laps in the process. His closest rival was his former team-mate, Fernando Alonso, whose prancing horse was nine-tenths shy of Massa’s best. Alonso set 115 laps throughout the course of the day which was the most of anybody. Daniel Juncadella was in the driving seat at Force India. The Spanish reserve driver ran an impressive 81 laps, putting him third overall on the timesheets. 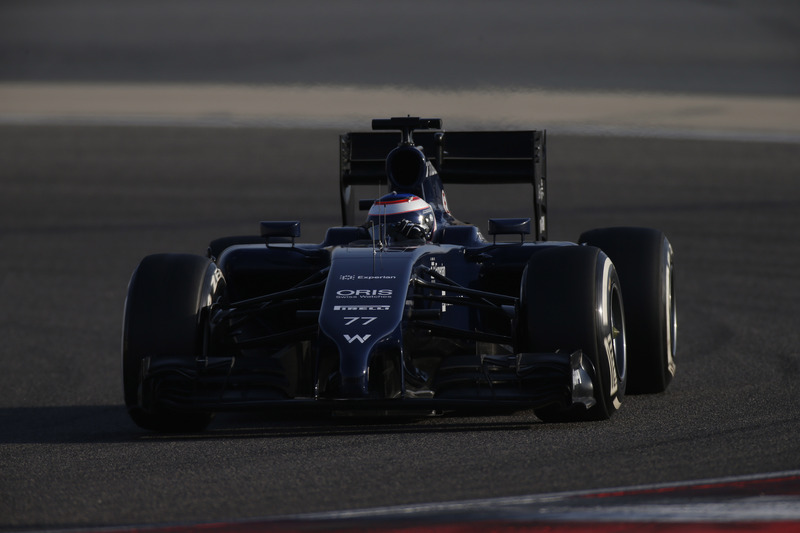 Kevin Magnussen, McLaren’s Danish rookie, was fourth overall, having led yesterday’s test. His 110 laps, double his total from yesterday, were interrupted in the final minutes when he stuck the nose of the MP4-29 into the barriers. Daniil Kvyat simultaneously spun his STR9, leaving his total amount of laps at a mere nine. Lewis Hamilton was fifth down the order with 41 laps under his belt, ahead of Jules Bianchi who took the new Marussia out for the first time this season. The Frenchman set an below-average 25 laps en route to a 1.32.222 lap time. Adrian Sutil was next down the order with 69 laps for Sauber. His C33 was remarkably off pace today, with Sutil’s best lap time over eight seconds behind that set by Massa. Sutil spun the car too, but caused no damage. Nico Rosberg had the morning shift in the MGP-04, lapping Jerez 91 times. His 1.36.951, set in the wet morning conditions, were six seconds behind that set by his team-mate in the dry afternoon running.Kamui Kobayashi finished the day ninth overall for Caterham, his 54 laps giving him a lap time fifteen seconds behind the Ferrari up front. He was followed by Daniil Kvyat and Daniel Ricciardo, the latter who had another disastrous day in the RB10 whose mechanical woes look to be far from over. Ferrari have unveiled their 2014 title contender, the F14-T, at Maranello this afternoon. The new machine was released through the humble medium of the internet, with Ferrari simply launching images of the new car on their website. The F14-T, to be driven by Fernando Alonso and Ferrari returnee Kimi Raikkonen, looks largely similar to the 2013 model, except with a much lowered nose section which all cars must have. Ferrari are the fifth team to release their new car, following on from Force India, Williams, McLaren and Lotus. You can see the other cars here. The name of the car was selected by fans, with 33% of fans choosing F14-T. A further 31% voted for F166 Turbo, 19% voting for F14 Scuderia, F14 Maranello getting 12% of the votes and F616 coming in fifth with 5%. The new cars will take to the track in Jerez next week for the first of three pre-season tests. McLaren and Lotus won’t be in attendance, however, as Lotus announced they would skip the test while McLaren was forced to skip it after failing the mandatory pre-season crash tests. Ben Sweeney's F1 Blog · The Blog for Petrolheads!